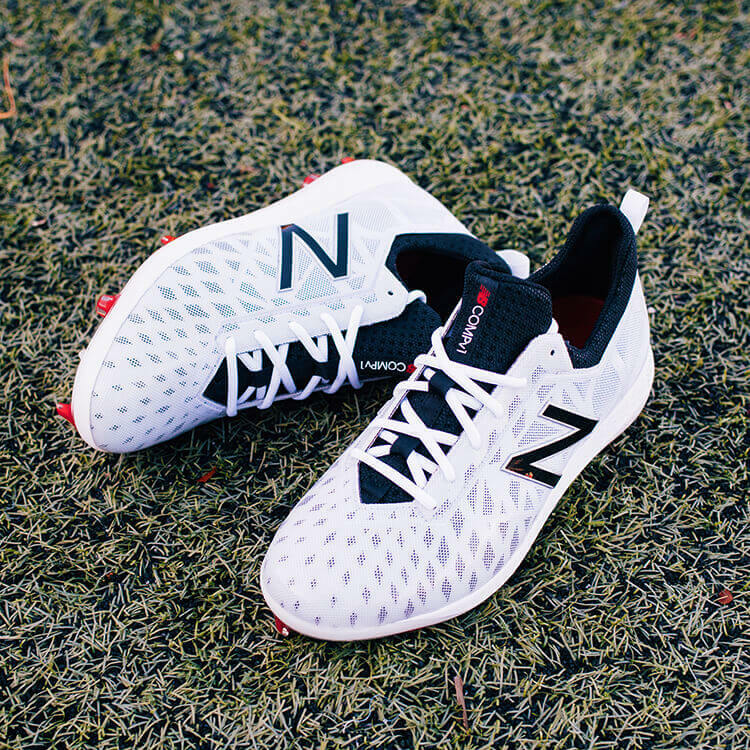 As schools and baseball outfits across the country move to artificial turf fields to lower maintenance costs and improve consistency of play, New Balance is first on the scene with a cleat designed specifically to perform on these artificial surfaces, the COMPv1. Get 15% off the COMPv1 with offer code WPW15 on Eastbay. How much of your season is played on turf? 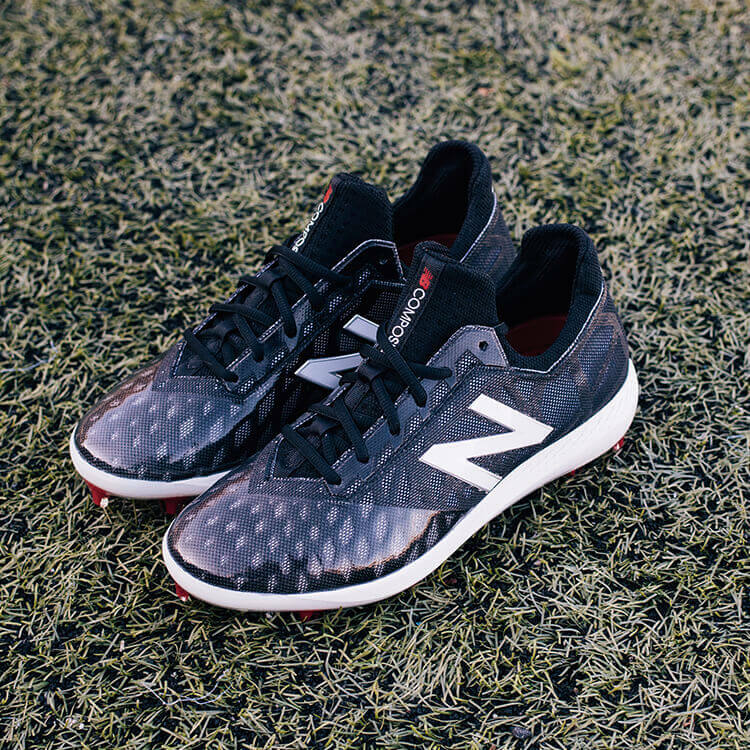 The COMPv1, to the eye, looks like the successor of the New Balance 406, made up of thin TPU with mesh materials for a minimalist upper part of the shoe. 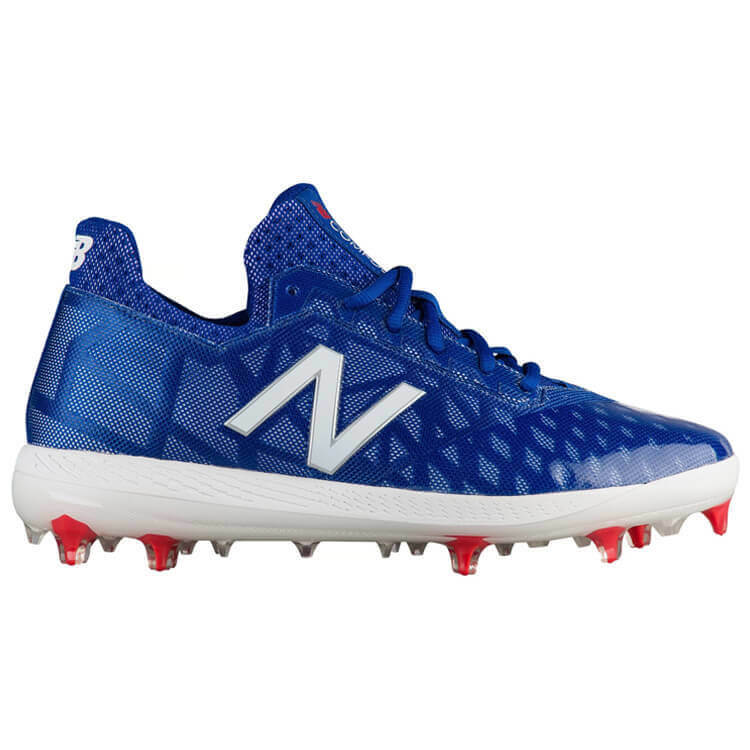 This time, though, New Balance added an innovative plate which boasts a mix of clear TPU spikes and new red glass-fiber reinforced TPU spikes that NB claims will perform like metal, but feel like the more forgiving plastic cleats often worn by Big Leaguers. 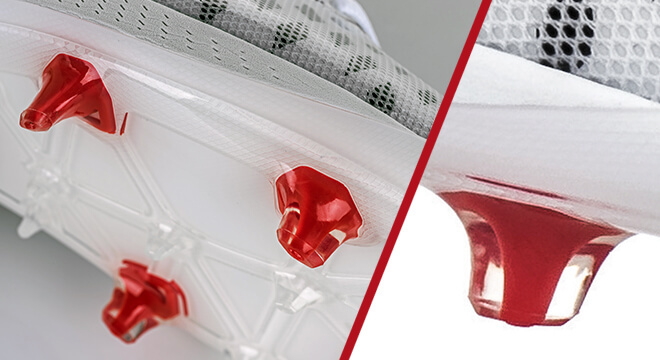 According to New Balance, the red glass-fiber reinforced TPU spikes are built to break the dirt and add strength to the surrounding clear traditional TPU cleats. 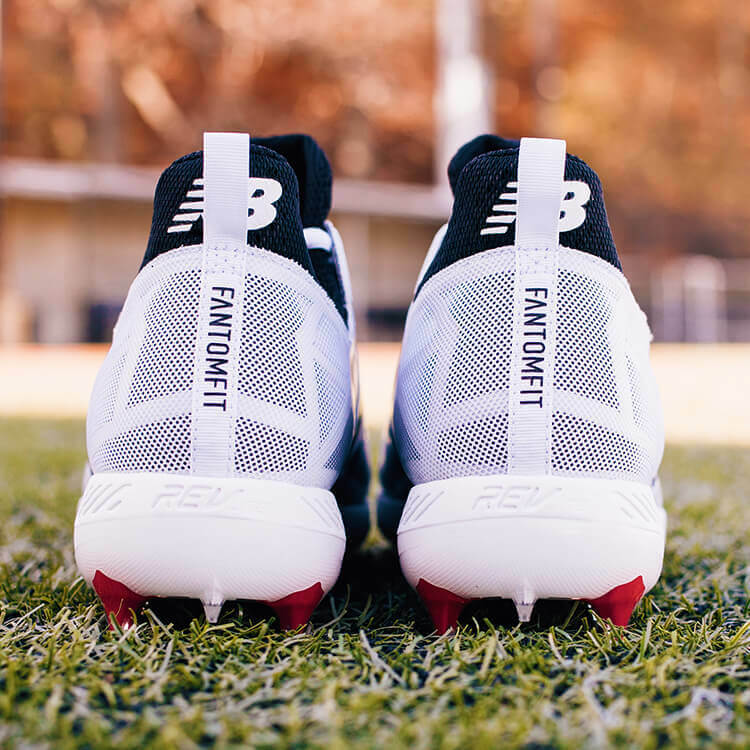 Since you’re often not allowed to wear metal on turf, the COMPv1 is designed to achieve the maximum tread possible for a non-metal cleat. Get 15% off the COMPv1 with offer code WPW15 on Eastbay. Looks-wise, these royal blues are the sickest colorway. They also have red and grey.here.